The president of the United States, Donald Trump, said today that for his Government “it will be good” what the British Executive does in relation to the “brexit”, after having previously criticized his strategy. Trump said that an interview published today by “The Sun”, in which he criticizes May’s strategy with Brussels, is a “false news”, because, he argued, it does not include the favorable comments he also makes about it. 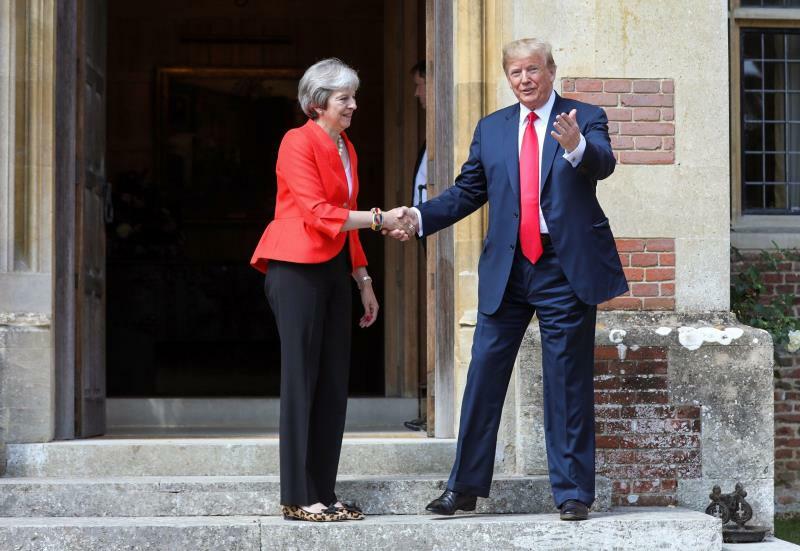 In that interview, which has caused stupor in the United Kingdom, Trump affirms that May’s “Brexit” plan, which proposes to create a common market of goods with the EU, will surely “kill” any possibility of a trade agreement with his country. , since in those circumstances Washington would have to negotiate with Brussels. The American president qualified his position in the press conference after a bilateral meeting with May at the official residence of the head of the Government in Checkers (southeast English), the most important political event of his first official visit to the United Kingdom. Trump thanked his hostess for his treatment during this visit and was especially delighted with last night’s dinner at the Blenheim mansion, where the Prime Minister Winston Churchil (1874-1965) was born, for whom he professes great admiration. Before reaching the podium, Trump and May advanced together through the Checkers’ gardens and saw how he sometimes took his hand. This is the first press conference that both leaders have held together since May’s visit to Washington in January 2017, when he invited Trump to pay a state visit to the United Kingdom, which has been postponed for the opposition that he has this country. The official visit – with less honors – of Trump and his wife, Melania, has been received with numerous protests throughout the United Kingdom and especially in London, a city that the couple has tried to avoid at all costs to avoid the rejection of the population . After the appointment in Checkers, the Trumps will go to Windsor Castle, about 40 kilometers from London, where they will have tea with Queen Elizabeth II of England, before leaving on a private visit to Scotland.